The Philosophical Transactions continued steadily under its new dispensation as the journal rolled over into the 19th Century. In 1823 the Society was just emerging from the very long shadow cast by the Presidency of Sir Joseph Banks, whose tenure of 42 years – the longest on record – had vastly expanded the role of science in the realm of public policy but had not been free of controversy. Presidential influence on the election of Fellows, Officers, and appointments to the Council had been very strongly felt and, on several occasions, publicly resented. Under Banks the work of the Committee of Papers had continued fairly efficiently, with the President himself in frequent attendance. Though papers were rarely subjected to formal review there is more evidence of editorial intervention in this period, with Banks himself or a trusted deputy proposing cuts or emendations to particular contributions. What impact Banks’s personal and occasionally autocratic style of government had on the journal is difficult to assess, since the records of the Committee are fairly short and businesslike and quite intentionally record no process of deliberation. It is noticeable, however, that the journal had by this time been mostly purged of antiquarian or historical content. In 1820 he had been succeeded pro tem by William Hyde Wollaston, then by Sir Humphry Davy, probably the first President to have published really extensively in Philosophical Transactions himself. During the early 19th century the established tendency of the 18th, of the ‘Printer to the Royal Society’ actually being a publisher or bookseller, was reversed, and the printer, rather than the bookseller, appeared on the imprint. By 1823 printing was handled by William Nicol, whose shop was on St James’s Street in Piccadilly; from 1770 the vast majority of the engraved plates for the journal had been produced by James Basire’s workshop. (The Basire family included several generations of engravers and printmakers and they appear to have been de facto engravers to the Society – it wasn’t an official post – for more than sixty years). The average cost of producing the journal steadily increased over these fifty years; the cost of individual volumes fluctuated considerably from year to year, however, as did the retail price. (Figures for the 1820s, including the costs of printing, engraving, paper, and stitching, vary between £600 at the low end and an extremely steep £1850 at the other – between 20 and 50% of the Society’s average annual income.) Expenditures on engraving at this time were particularly heavy – often the single largest item in the production costs, amounting in 1822 to almost £600, about a sixth of the Society’s bank balance for that year. Procedures for submitting papers for the Phil Trans were as before; that is, everything read before the Society was considered eligible, and was put to a vote by the Committee of Papers. It may have been a feeling that these criteria were insufficiently stringent, and perhaps apt to waste the Committee’s time, which led to the introduction of a procedure for suppressing communications to the Society before they could be read out, and to a form of words being devised for a boiler-plate rejection letter. To get a paper considered by the Society if you weren’t a member basically entailed getting a member to introduce it for you; just as actual attendance at a Society meeting for non-Fellows meant that you had to be introduced by a current Fellow, who could introduce up to two guests (‘strangers’) per meeting. Around this time a number of moves were contemplated to restrict future membership of the Society, limiting it to 400 – it had already climbed to 714 by 1827, so this was mostly to be achieved by waiting for existing Fellows to die. [The Society were given a small boost in this respect when they expelled William Henry White, a government official who had absconded in 1825 with £16000 from the public purse in his heavily laden pocket.] The Banks presidency, in some senses an assiduous and extraordinarily successful exercise in social networking, had raised the Society’s profile and influence on public policy but also left it open to the accusation of favouring status over actual accomplishment in the election of Fellows, and that at a time when the professionalisation of science was building up a head of steam. The more active members of the Society appear to have been behind the move to streamline the membership, partly because of the feeling that the current composition of the Society risked further diluting the proportion of the audience at meetings and of contributions to Phil Trans that actually concerned themselves with the natural sciences. Reducing membership meant a proportional reduction of income, however – the Society was sustained by the subscriptions of its members, and the steeply rising costs of producing the journal were anxiously considered in this context in a series of special committees which met in 1827 to consider how best to reduce membership. 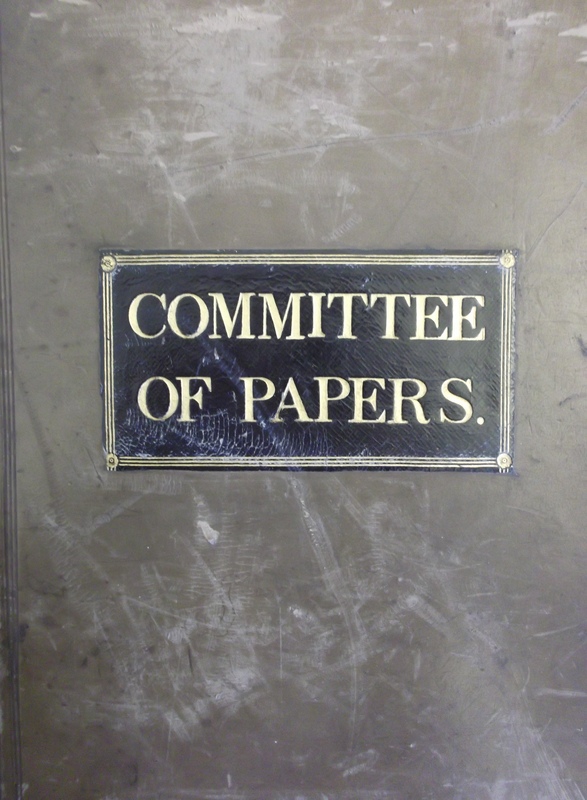 The same Committees advocated an active peer-review process, to include the right of reviewer s to communicate directly with a paper’s author, and proposed that the evaluation of papers be turned over from the general Committee of Papers to a series of subcommittees with appropriate disciplinary expertise. (These reforms may have been too radical for the tastes of the Society at large; they were approved of and minuted but only enacted piecemeal over the next two decades.) At about the same time, William Nicol, the journal’s printer, was summoned for a dressing-down about the quality of his work; his response was to resign the office of Printer to the Society, and the Committee put the job out to tender. Richard Taylor was chosen to succeed Nicol, and it was clear that part of the Committee’s brief was to reduce the cost of printing. The print run envisaged during the tendering process was 1000 copies. It had probably been that high during the early 19th and perhaps the late 18th centuries, but was brought down to 800 in 1824, probably on grounds of economy. The Society’s Archived Papers for the late 18th and early 19th centuries (papers rejected for publication or, in certain instances, filed without being read) contain a striking proportion of foreign papers. The Society evidently no longer considered it part of its remit to represent European natural philosophy, perhaps because of the proliferation of learned societies in Europe with published proceedings and transactions of their own. (It’s equally evident that many of these papers were rejected not on chauvinist grounds but simply because they were a nuisance. Quite a lot of them are proposals for longitude solutions, perpetual motion machines, and squaring the circle. The Royal Society clearly had a sharp enough eye to the reputation of the journal, and the value of its own time, not to bother with them.) The Phil Trans was also experiencing competition from the proliferation of other learned society and commercial science journals around this time – several of them, including the Philosophical Magazine, published and edited by Richard Taylor, to whom the Society entrusted the publication of Phil Trans from 1828. 1823 also marked the launch of The Lancet, a publication that would aim numerous gleeful barbs at the Royal Society’s troubles as it struggled with the prospect of internal reform over the next 15 years. 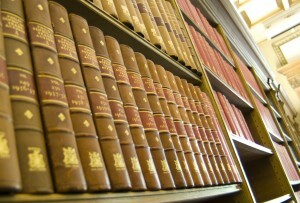 The Royal Society had had responsibility for the finances and publishing of the Phil Trans since 1752, when the Journal became the official organ of the Society. By 1873, the process of reviewing prospective papers at monthly meetings of the Committee of Papers was long established. 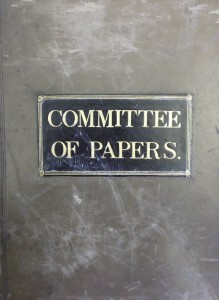 The Committee of Papers still consisted of each member of Council and its role in determining the fate of papers in some ways signifies the control welded by the Society’s Council members, collectively, rather than an individual (as with Oldenburg above), over the content of papers to be published in the Phil Trans. Still evolving at this time were the specific workings of the submission of papers and the referee process. In order to be considered for publication in the Phil Trans, a paper was ‘communicated’ by a Fellow (unless the author was already a Fellow) and assigned to the Committee of Papers who then requested referees’ written opinions. It seems that in most case the paper was read by a Fellow at the Society’s weekly meetings but in some cases a paper may have been simply forwarded to the Committee of Papers without being read. By 1873, it had become common to seek reviews of prospective papers from Fellows not on the Committee of Papers. Also at this time most, if not all, papers were sent for review and the subsequent written reports (in the form of letters) were, in most cases, addressed to the Secretary, and mathematician, George Stokes. Stokes seems to have had more involvement in the reviewing process than his colleague (and other secretary), biologist, Thomas Henry Huxley. After the reviews were received and deliberated over by the Committee of Papers, at their next meeting (held monthly)the fate of a paper now lay in six possible outcomes: published in the Phil Trans, published in Proceedings, sent to the archive, read at a Society meeting (presumably not having been read already), referred for a second time, or returned to the author. For example, at a Committee of Papers meeting on 16 January 1873, for example, the Royal Society’s Treasurer William Spottiswoode was in the chair, and ten others were in attendance, including the Secretary George Stokes. Of the 16 papers presented for consideration, one was for the ‘archives’, three were ‘to be printed’ in the Phil Trans, seven were to be published in the Proceedings, four were ‘referred’ for the first time, and one was deemed ‘to be read’ at the Society’s weekly meetings. The process of determining which papers should be published, and where, continued to change and develop into the late nineteenth and early twentieth centuries. As we consider the early twentieth century we see that, in some cases, rather than instigate a new system of reviewing, old and previously abolished practices for choosing the most appropriate papers were re-utilised. In 1873, Phil Trans was still printed in London by Taylor and Francis (as it had been since 1832), and in this year it was published, as before, in one volume. By this date, the journal had become more illustrated, and images were dispersed throughout the journal, rather than the earlier practice of collating images at the end of each volume. By 1873, auto-lithography (which allowed an illustrator to draw directly onto a stone or plate for printing) was being used in addition to copper engraving. The firms active in producing the images to accompany Phil Trans papers included the illustrator and lithographer George West, auto-lithographer W. H. Wesley, and lithographers to the Queen, Maclure & Macdonald. The production of images, however, was a collaborative process and involved an illustrator, who was sometimes the author of the paper who had drawn the representation from nature; the engraver, who prepared the copper plate or stone; and the lithographer and/or printer. There were a small number of photographs in the pages of the journal in 1873, though these would increase in number as the century progressed and the camera became more widely used. The use of images in the journal was an expensive undertaking, which had an impact on the cost of production. 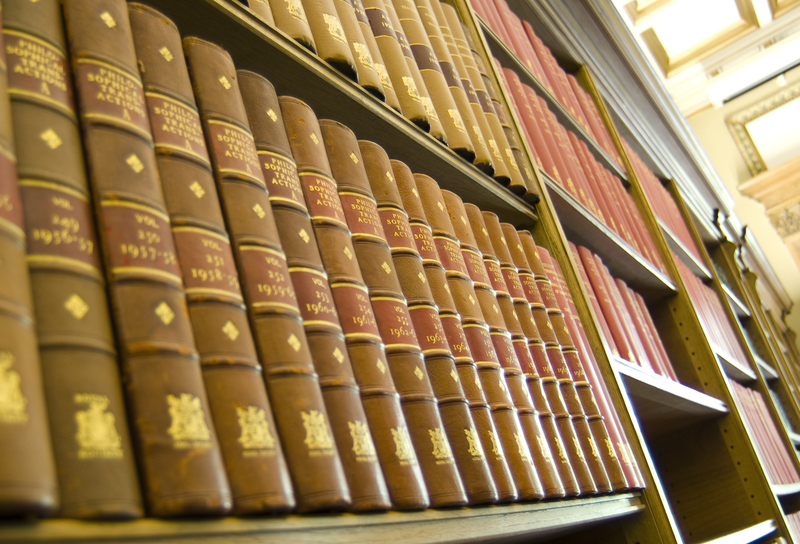 In 1873, engraving and lithography costs for the Phil Trans and Proceedings, combined, amounted to just over £440, which was 24% of the Society’s publishing expenditure for that year. This expense was not covered by the sale of the journals in that year, whose sales brought in a total income of £407. Adding in the cost of printing, paper, binding and stitching of both journals meant that the deficit on publications was £1,412. The Phil Trans and Proceedings were, at this point in time, leaving a significant dent in the overall expenditure of the Society. The deficit in publications was made up from general income and other funds so that the total income for the Society overall in 1873 exceeded expenditure by just over £173.